His Best Acquisition The Russian’s Acquisition by Dani CollinsAleksy Dmitriev wants revenge. But his seduction plan backfires when he discovers that his new mistress, Clair Daniels, is a virgin! 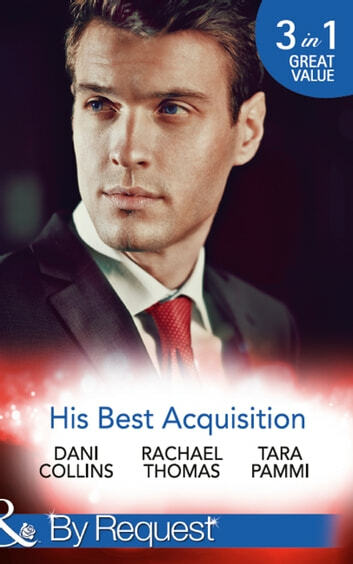 Revenge goes out of the window, but Aleksy enjoys his prize… Clair, however, is determined to be more than just an acquisition! A Deal Before the Altar by Rachael ThomasGeorgina Henshaw will do anything to ensure her younger sister’s happiness – even marry the darkly enigmatic Santos Ramirez! She has just one condition: she’ll wear his ring, but she’ll never share his bed! But to truly secure his family business, delectable Georgina must provide Santos with an heir… A Deal with Demakis by Tara PammiNikos Demakis’s plan is set. With his eye firmly on the CEO position at his grandfather’s business he will finally lay his past to rest. And Lexi Nelson holds the key. She might resist, and she’ll definitely try to negotiate, but Nikos always gets what he wants!